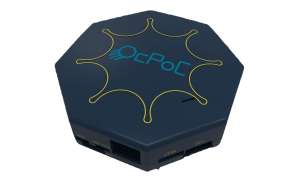 Thanks to all who applied to be a part of the OcPoC™ Launch Program! Aerotenna is finished receiving applicants and will begin shipping the first round of OcPoC™ platforms soon to the candidates who were chosen. For those who missed the deadline for applying for the program, stay tuned for the Q1 release of the commercial OcPoC™ version. This version will be thoroughly tested and well documented to make sure we deliver the best product to you. If you want it earlier, you can always send us an email at info@aerotenna.com for an inventory inquiry, to check if we have any still available from the program. The Q1 official release of OcPoC™ is coming soon! Want to be the first to have the commercial version? Apply for our OcPoC™ Pre-Order Program (February 01 to February 29 ) to be at the top of the list.